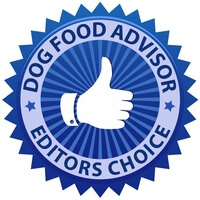 The Dog Food Advisor’s Editor’s Choice section which features a list of our most recommended brands is now live. So, hundreds of 4 and 5-star dog food brands have been narrowed down to just 10 to 20 top picks. Editor’s Choice even includes a list of budget-friendly dog foods hand-picked by our research staff. This list can save you hundreds of dollars every year on the cost of feeding your pet.